Honda has produced another gem, polished to near perfection. The reincarnated 2001 Civic, now in its seventh generation, has emerged once again from Honda's box of magic as a fine, inexpensive little car venerated for reliability, quality and value. Although Honda is still playing it safe with the iconic Civic's styling, cautiously keeping exterior changes so subtle they can barely be detected without a magnifying glass except for the rear end, the major changes are in performance, spaciousness, and ride. Remaining faithful to a proven winner is typical of Honda, whose forays into radical restyling have been few and far between and mostly restricted to concept cars like the jazzy Sprocket, a combination of a convertible, pickup and sports car. 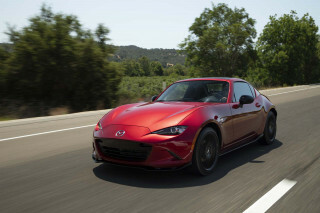 For production cars that make it into showrooms, the company has opted for traditional, tried-and-true design that makes no dramatic statements. 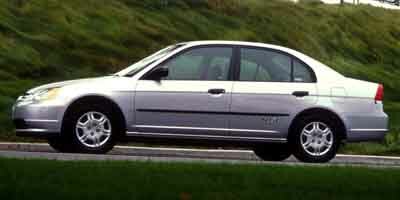 This is evident on the 2001 Civics. The coupe has a racier C pillar to give the roofline a sleeker look and a different rear bumper compared to the sedan's more conservative appearance but otherwise the new Civics are similar to those we have known and loved. 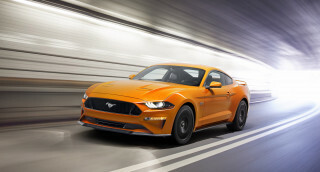 including a five to ten-percent increase in fuel economy, an increase in torque output, and 115 horsepower. 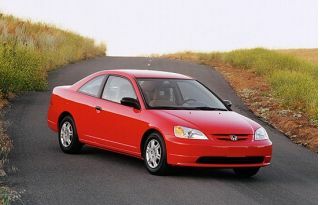 The EX sedan model boasts a VTEC-E engine, with 127 horsepower. Both offer zippy rides with barely perceptible lag on upgrades. The new suspension system tracks better on corners for a more stable feel, and gas-filled shocks soak up bumps. 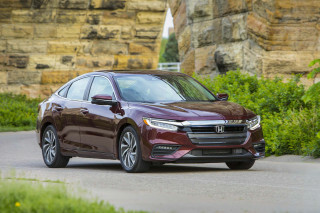 Wheels and tires have increased in size along with the Civics' new designation as compacts, and Honda claims the larger tires reduce rolling resistance, a factor in fuel economy. Other mechanical improvements include quicker steering response, less noise and vibration, and larger front disc brakes on DX and LX models. The fuel tank will hold 13.2 gallons, up from 11.9 gallons. Comfort has increased, too, with more supportive and wider seats, and, in the sedan, more hip room to accommodate our every-increasing hips. The trunk is larger, flatter and wider than the 2000 model and can take more cargo. Tighter fit and finish was a Honda goal for its seventh-generation Civic, so check out seams and bumpers before you buy. During its several reincarnations, Honda has been in the forefront of technical and environmental innovation since it developed the CVCC engine in 1973. 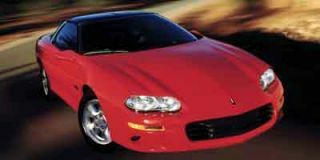 The first vehicle to meet all emissions requirements without using a catalytic converter, while running on regular gasoline, it was a feat most manufacturers insisted couldn't be accomplished. Honda at that time was three years into trying to convince Americans that its inexpensive, fuel-efficient Civic subcompact powered by a Compound Vortex Combustion Control (CVCC) engine, was a good, if spartan, buy. We didn't listen. We were driving big gas-guzzlers with V-8 engines and loving them. Honda struggled along with dismal sales but refused to give up and even had the temerity to bring out a new model, a hatchback. Its debut in 1974, happily for Honda, coincided with the oil embargo and skyrocketing fuel prices. Civic sales shot through the ceiling, from 43,119 in 1974 to 100,000 in 1975 and the Civic became the benchmark for its class. Since then, ten million little Honda Civics have ridden the roadways of our planet in 140 countries and have been the company's best-selling models on a global basis for the past twenty years. By the end of this year, Honda estimates that figure to rise to 15 million. In 1977 the CVCC Civic topped the U.S. Environmental Protection Agency's first list of the top ten most fuel efficient cars. The second generation of the car, in 1980, added electronic ignition, and for the third generation in 1984, the distinctive CRX Civic joined the lineup. Two years later the CRX-HF Civic was the first mass-produced four-cylinder car to break the 50 miles per gallon barrier. The 1988 fourth generation sportier Civic increased the car's original body size and introduced buyers to its sixteen-valve double overhead cam engine. Four years later, Honda's patented variable valve timing and lift electronic control (VTEC) technology was added, providing additional lean-burn efficiency. 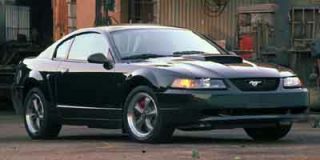 By 1992, when Honda rolled out the fifth version of its redesigned and re-engineered class-leading subcompact, there was a single overhead cam engine under the hood, complete with even better VTEC technology, and in 1996, when the sixth generation debuted, the company added continuously variable transmission (CVT) to the lineup. The CVT automatic transmission-equipped Civics were the first automatics to make it to the EPA's top ten list. By now, Honda was on an environmental roll and getting the credit it deserved. 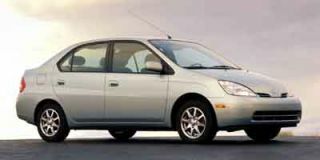 In 1998, the Japanese automaker came out with a natural gas-powered model, the Civic GX super ultra low emission vehicle that the EPA called the cleanest internal combustion engine in the world. Last year, the 70-mpg Honda Insight, a gasoline/electric hybrid hit the dealerships, as did the Civic GX NVG, powered by natural gas. Today, Honda's environmentally-correct low emissions vehicles (LEV) include the VV hybrid, the Odyssey minivan, the Accord, the Civic and the S2000 roadster. 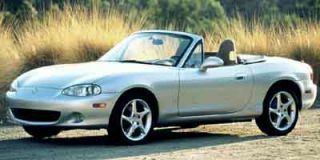 Because we Americans are expanding our girth at unprecedented rates and are in danger of requiring more and more passenger room, Honda appears to have sounded the alarm to its designers and engineers for the 2001 version and bade them hew to the Man Maximum/Machine Minimum philosophy. Meaning more room for people and less room for mechanical parts. Honda has thus squeezed its bigger, more powerful yet more compactly designed new engine into a smaller compartment, allowing a shorter "nose" and front overhang to provide more interior space. Curiously, the coupe, geared to Boomlet singles, was developed in the U.S. while the sedan, geared to families, was developed in Japan. You should be fascinated to learn that for the American market Honda builds two-door and four-door Civics; for the Japanese, four and five-door models, and for Europeans, three and five-door versions. How come there are no one-doors? The 2001 coupe and sedan interior dimensions are identical in every respect except passenger volume: 86 cubic feet for the coupe versus 91 cubic feet for the four-door version. 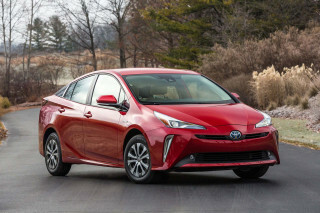 Externally, the cars have shrunk seven percent, while weighing eight percent less. In spite of the weight loss, the Civics I tested had a good, solid feel, gripping sufficiently well and confidently on twisties. The shifter on the manual gearbox proved slick, easy to handle, and responded without a whimper. (So did I). 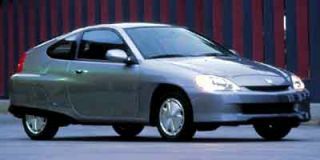 The four-speed automatic in the 2001 is a new design, tweaked to give drivers around 28-30 miles to the gallon in the city and 35-38 on the highway. On the safety front, Honda has employed technology to increase rigidity and reduce side impact intrusion by 20 percent, reinforced the body shell, used plenty of hard, high-tensile steel, and created a more efficient energy-absorbing subframe. While the extensive list of such reinforcement improvements goes on and on, it is obvious that Honda's engineers have gone to remarkable lengths, and probably cost, to build a Civic that exceeds all previous standards for safety, dependability, and performance. Despite the categorization of the new Civic as a compact, Honda still considers that three subcompacts, the Ford Focus, Volkswagen's Jetta, and Toyota's Corolla, will be its fiercest competitors. This is an important car for Honda and the company is pulling out all the stops to encourage you to buy one. Not-yet-announced prices for the 2001 Civics, due in showrooms this month (September), will hold the line while adding more equipment, says Honda. Looking for a different year of the Honda Civic Classic?